Honda CTX700N Specification - The naked Honda CTX700N blends the best of attributes of both cruiser and street motorcycles. The laid-back, feet-forward riding style and low seat height of a cruiser combine with the lightweight feel, ground clearance and agile handling of a street bike. Add a characterful, torque-laden parallel twin-cylinder engine – equipped as standard with Honda’s second-generation six-speed DCT gearbox – and the result is a motorcycle with easygoing, all-round capability. It’s stylish, too. 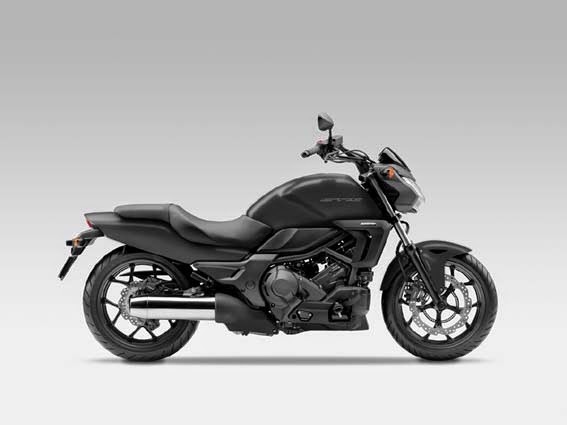 Honda CTX700N – wearing a svelte nose cowl – injects a sense of freedom and space into any ride. It’s fitted as standard with ABS and there’s a whole range of dedicated Honda Genuine Accessories ready for an owner to further personalise their CTX. Unique in every respect – and the forerunner of a completely fresh range from Honda – the CTX700N opens up new avenues of two-wheeled adventure and experience. It’s also A2 licence-friendly, affordable and easy to ride and, in every respect, a pleasure to own.